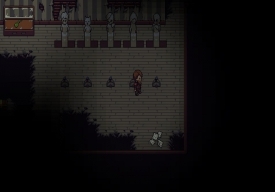 "A top down RPG puzzler"
Towards the Pantheon: Escaping Eternity is a game where you play as a man that wakes up in an eerie house with no recollection as to how he got there. The game controls are easy to figure out, and once you start playing with the main character, appearing to be a soldier, your journey begins, trying to figure out how to escape the pantheon to not be locked there for eternity. 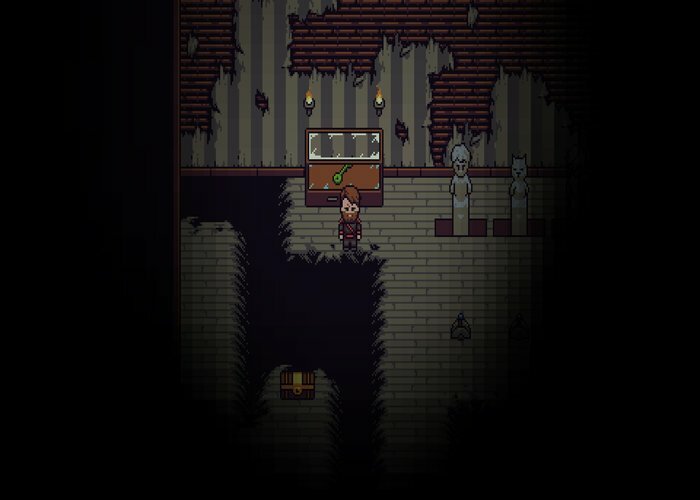 As you go from room to room, you have to figure out the meaning of various items you find on the way to escape an eternity in the pantheon. This escape and unlocking of doors can be done by figuring out the symbolism of animals engraved in doors and Latin phrases on pieces of paper you find on your way. Those pieces of paper are from a diary and slowly help you figure out what happened in the pantheon, as a battle with an other-worldly presence is described in the Skrift forest, increasing the eerie feeling, as you’ve been taken hostage in the battle and need to find a way to escape. Chests will unlock more hints to lead you to the escape out of the pantheon. The game-play is intriguing, as the story and graphics leave you wanting more, and as the game progresses it becomes more enjoyable and intriguing, this small but highly enjoyable game is the prequel to the upcoming full game Towards the Pantheon. You can download Towards the Pantheon: Escaping Eternity here for free.